When it comes to quality tree and lawn service in Ashland, homeowners turn to C.S. Flournoy for all their lawn needs. We provide comprehensive service that covers all the major areas of your lawn. Our expertise includes tree clearing, trimming, removal, and feeding, pesticide spraying, bush hog mowing, stump grinding & removal, and deep root fertilization. All of our services and products are guaranteed for your absolute satisfaction. You'll love our personalize service, fast work, and affordable rates. Contact C.S. Flournoy and let us help you get your next tree project off the ground. We are the tree and lawn experts! Over time your trees will experience overgrowth and begin to clutter up your yard. If you have two trees close together they will begin to grow into each other and ultimately stunt growth and cause other problems. 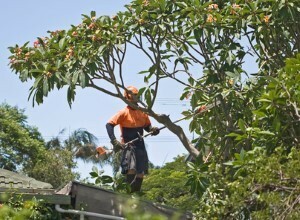 We offer complete Ashland tree trimming service from top to bottom. We clear out the excess branches while grooming your tree making it an attractive feature in your yard. Trimmed trees stay clear of any power lines and offer a safer alternative to expanding growth. Routine trimming also gives your trees improved health and longer life. Contact us today and let us beautify your yard with newly trimmed trees. If you are looking for Tree and Lawn service in Ashland, then please call 804-264-1000 or complete our online request form.